The Freiburg bassist Arne Huber calls his new CD "In real life." Bam! With a proven toolbox consisting of saxophone, piano, bass and drums, he opens the door to music for everyday life. The title of his CD is an invitation to anyone who is looking for a soundtrack for life with no bias, without wanting to be guided by the rigid rituals of a genre. "In Real Life" is already the third recording of the quartet. Sharp in the contours, soft in the colors and of delicate precision, each of the new songs is for itself the negotiation of a sound aesthetics anchored in classical music with a vocabulary that comes from jazz. In contrast to comparatively occupied formations, the Arne Huber Quartet has no common social background. Huber lives in Freiburg, Rückert in New York, Landolf in Basel, and Böhm in Cologne. The Berlin saxophonist Wanja Slavin complements the quartet for three songs not only for its special sound, but also for a further piece of horizon. Five cities, three countries, two continents on one CD. It can hardly be more comprehensive. A CD as in real life. -Der Schlagzeuger Jochen Rueckert zählt zu einigen wenigen herausragenden deutschen Jazzmusikern, die in den 90er Jahren nach New York City zogen und in diesem Jazzmusiker-Mekka ein Zuhause fanden. 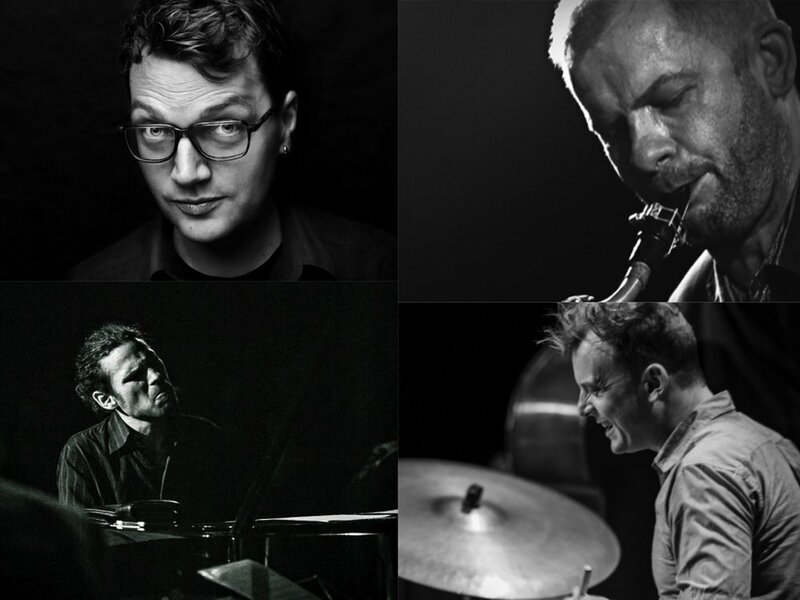 Seine Zugehörigkeit zu führenden Gruppen wie dem Marc Copland Trio, Nils Wograms Root 70, der Kurt Rosenwinkel New Quartet, dem Melissa Aldana Trio und der Mark Turner Band hat Rueckert in die vorderste Reihe der Jazzmusiker des Big Apple katapultiert. Auf Charm Offensive, der zweiten CD Rueckerts auf Pirouet, hört man einige der innovativsten und erfolgreichsten Spieler der New Yorker Szene. -Domenic Landolf ist kein Rumpelstilz, der mit entsichertem Tenorsaxophon im Anschlag ums Feuer tanzt, kein Bi-Ba-Butzemann, der wild um sich ballert. Domenic Landolf ist ein Octopus im Federkleid. Seine Musik weht als leichte Brise heran und zieht dann kraftvoll in die Tiefe wie ein Malstrom.